Blanket Jackson no longer exists! Michael Jackson’s youngest child has given himself a new name – he’s called Bigi Jackson at school now. 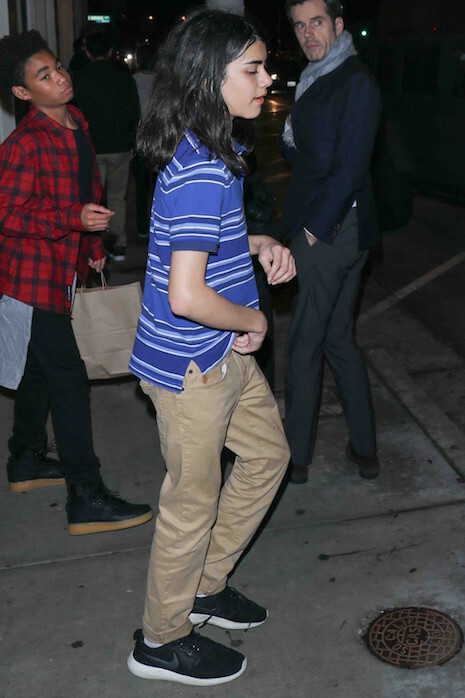 Blanket was only a childhood nickname and the poor kid was born with the embarrassing moniker “Prince Michael Jackson II.” Now Bigi is 14 and he’s going to the Buckley School and starting to get around. Marlon Wayans took his kids and Bigi to Catch in Hollywood for dinner.